AUGUST 04, 2016–J-Hobbs Machine was recently added to the wide VAM® Licensee network in North America, becoming the first VAM® OCTG licensee for the Permian basin. Until now customers in the region had to get VAM® TOP HT repairs and accessories in San Antonio or Houston increasing cost and delays. 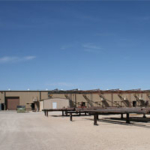 J-Hobbs Machine is located in Odessa, and is approved for the DWC/C™ family (DWC/C™, DWC/C IS™, DWC/C IS PLUS™) and VAM® TOP HT, two key line of products for the onshore shale market. The addition of this new resource provides the local support that Permian operators need for their VAM® premium connection accessories and repairs. The new Permian VAM® licensee manufactures a diverse range of superior quality OCTG products, including premium and non-premium threading on related OCTG tubular products and full-length tubular products, fulfilling our customers’ real needs. J-Hobbs machining capabilities are up to 12” thru spindle, and 7 5/8” for swage and stress relief. The company has been in business for 35 years and operations are certified to both API Q1 9th Edition and ISO 9001. In addition to J-Hobbs for OCTG, drilling operators have depended on the region’s 3 Vallourec drilling products licensees. 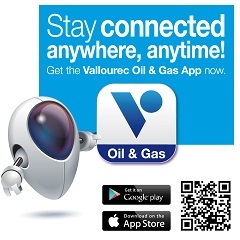 Even in a down market, Vallourec continues to focus on customers’ needs: With this new licensee, customers can rely on a quality local resource for OCTG and make VAM® the best choice no matter the location. VAM® licensee network in North America already encompasses 47 companies in close proximity to all oil and gas fields in North America. For more information contact your representative.